"Big Horned Buck Deer Top Stub Personal Checks" product is already in your cart. 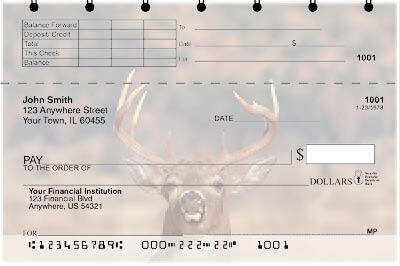 Big Horned Buck Deer Top Stub Personal Checks are perfect for hunters and anyone who enjoys the wildlife. Get up close images of deer and their multi-pointed antlers with some great antler action.